The primary medical use of opioids is for the treatment of severe pain, yet many people have started abusing this powerful narcotic because of the euphoric high it produces. Building a tolerance to opiates happens quite quickly when opioid medications (such as Codeine, Vicodin, and Dilaudid) are not taken as prescribed. Any time opioids are discontinued, the body goes through a recovery process that creates withdrawal symptoms. Opiate withdrawal symptoms differ from person-to-person depending on many factors, including how long the drug has been used and how much is needed to achieve a high. Some of the early opiate withdrawal symptoms are agitation, anxiety, muscle aches, increased tear production, an inability to sleep, runny nose, sweating, and yawning (Medicine Plus). 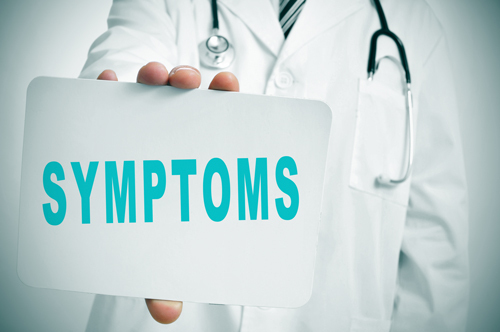 Some symptoms that occur later on are cramping, nausea, vomiting, diarrhea, and goose bumps. The duration of opiate withdrawal depends, in part, on how much support the detoxing individual has. With a network of medical staff and trained professionals in accredited treatment facilities, the opiate withdrawal duration can be significantly reduced, and at the very least, much more tolerable. Detoxing off of opiates in solitude is difficult, dangerous, and incredibly uncomfortable. The physical withdrawal symptoms of opiate use can last 1-2 weeks, sometimes more, depending on the individual. The physiological withdrawal symptoms can last longer and can be harder to manage than the physical ailments. Having a strong support system of like-minded persons who have been in the same position can help keep you or your loved one get on track during this difficult transition. If you think you have a problem with opioids but don’t know where to begin, reach out to an accredited treatment facility in your area. Admissions Coordinators at Willingway are available for free and confidential assessments 24 hours a day, 7 days a week. Going through opiate withdrawals can be intense, but it doesn’t have to be faced alone. To find out more about services offered by Willingway Georgia opiate reduction services contact us 24 hours a day at 888-979-2140, and let us help you get started on the road to recovery. Opiate and Opioid Withdrawal. U.S National Library of Medicine. Retrieved April, 2017.